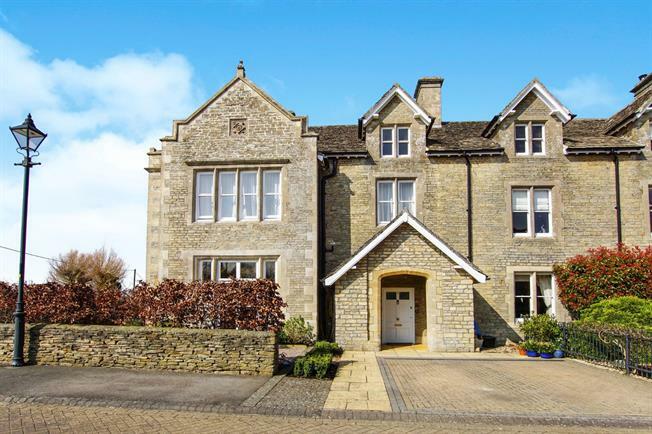 3 Bedroom For Sale in Malmesbury for Offers in excess of £680,000. Converted period town house which retains many character and original features. The property benefits driveway parking to the front for 2 vehicles, courtyard garden and small area of garden to the side. The well presented and spacious accommodation comprises: reception hall/dining room, lounge, and fitted kitchen. To the first floor master bedroom with en-suite and 2 further bedrooms plus family bathroom. From bedroom 2 there is access to the loft area.